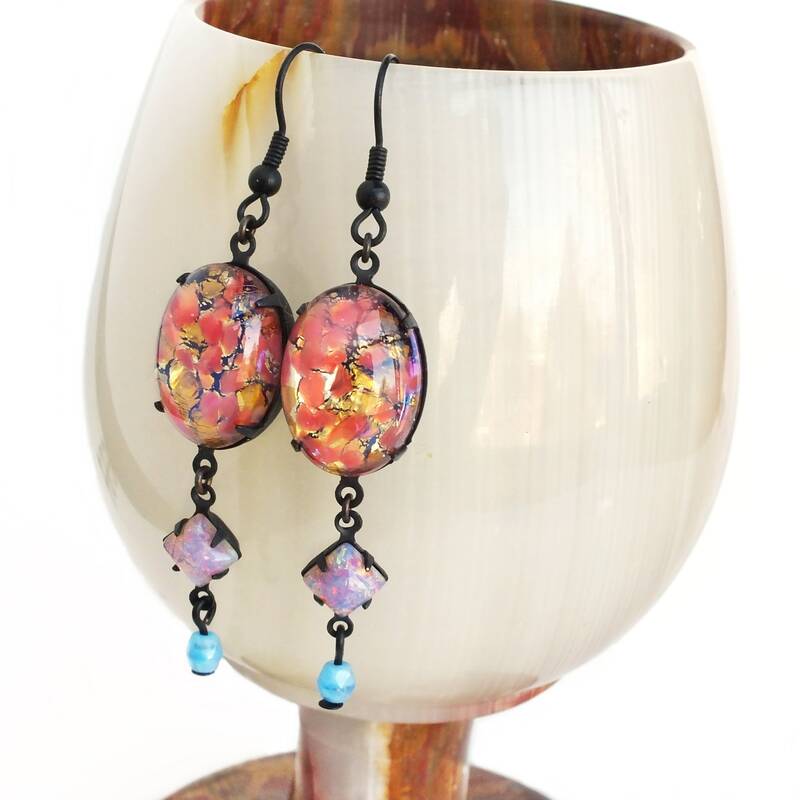 Handmade pink glass opal earrings with vintage iridescent glass cabochons and Czech glass beads. 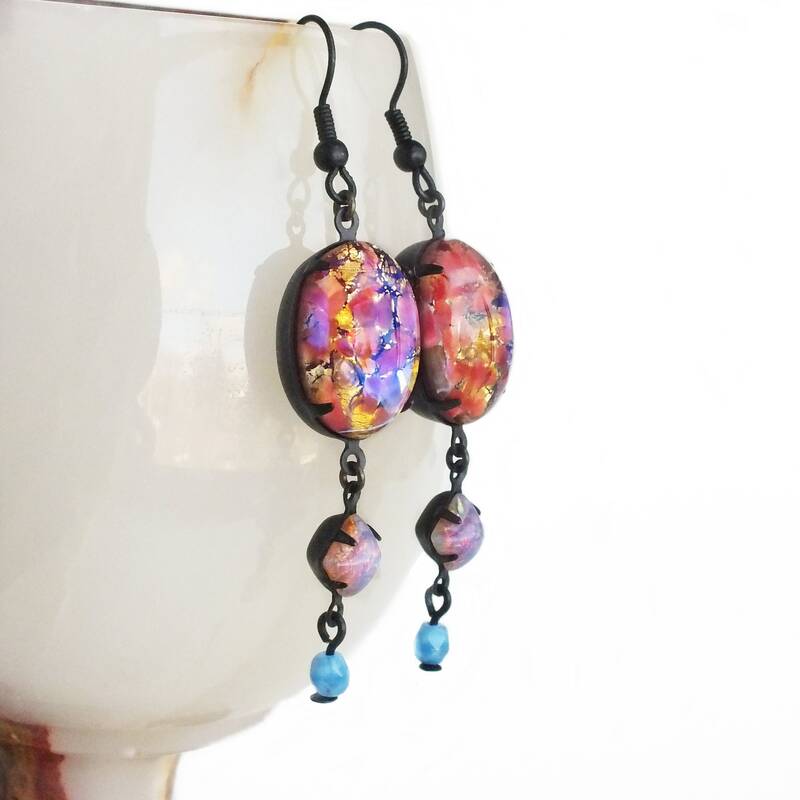 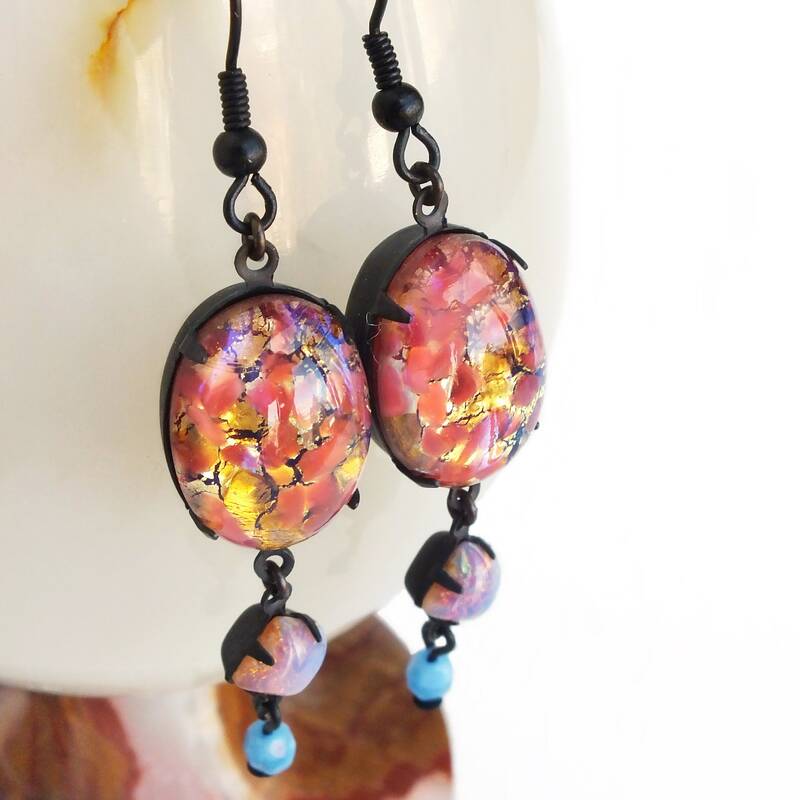 Statement earrings made with large vintage iridescent pink and orange glass fire opals with stunning electric blue iridescent 'fire' in bright light. 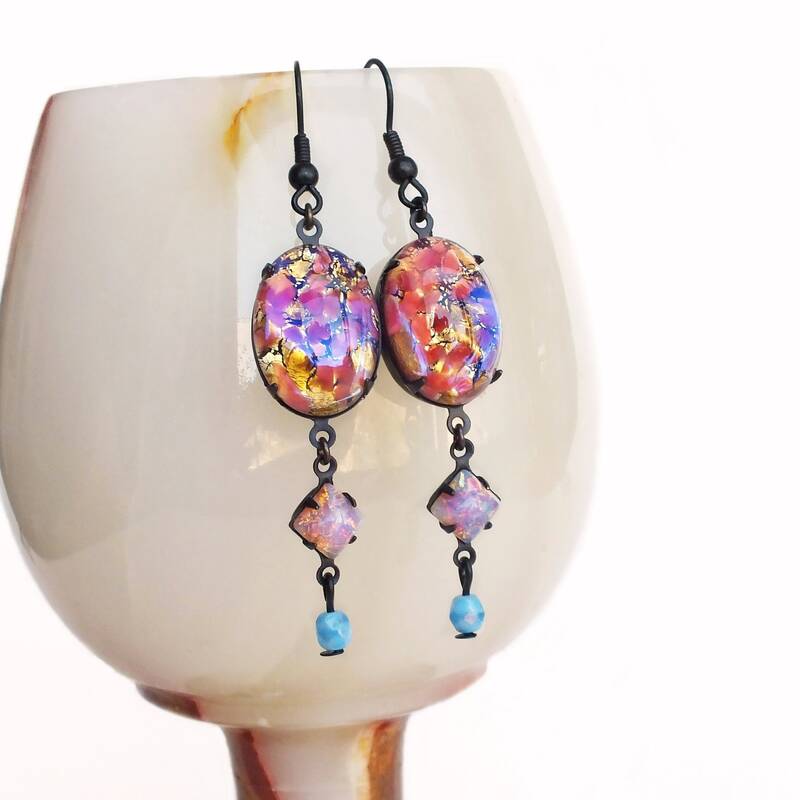 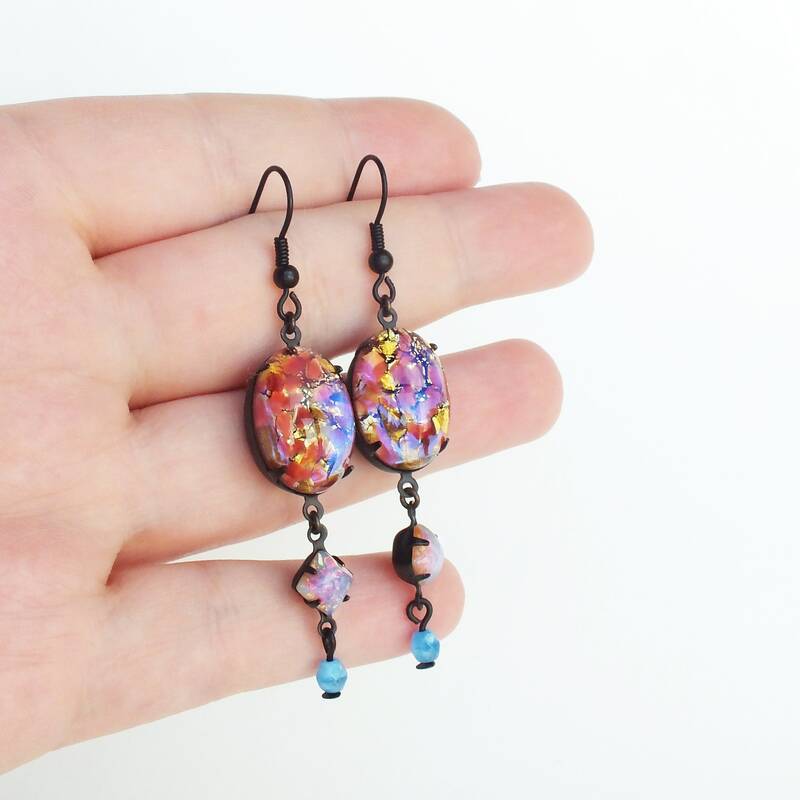 I set them in oxidized brass frames adorned with small lighter pink glass opals and iridescent blue Czech glass beads.